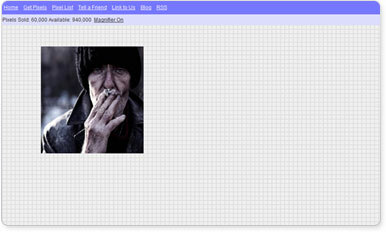 GPixPixel is a FREE yet powerful million pixel script, based on the popular marketing concept. Advanced settings include, among others, the ability to use interlaced images, temporarily take the site down for maintenance and put it back online when all changes are done, and enable/disable blog comments. Multiple payment modules available for pixel purchasing, including Authorize.Net, PayPal, NOCHEX, PSiGates, and others. More are being added all the time. PayPal IPN is fully supported, too! GPixPixel is licensed under the GNU Lesser General Public License. It's free with all 4goodhosting web hosting accounts as well get a free domain name. It runs on your own domain website that is hosted with 4goodhosting.